The history of time reflects culture – interconnecting temporal powers, religion and science. For millenniums priest were gatekeeper of time and calendar(s). Now scientists have taken over. Today we are able to contemplate beyond the creation of time, even beyond the big bang. I got the idea to this essay after I read a book, titled… you guessed it… “The Face of God” (Le Visage de Dieu) while I struggled writing a long article “The history of time” from a historical and religious view. After I read the book, I decided to break my monster article in pieces and introduce them with this essay. So this is the first of a series “History of Time” which explores concepts of time and calendars over the last 5000 years. Most people today avoid the sacred dimension of time as a subject. They may fear past and future – and mortality. Perhaps they have never really thought through meaning of time. Einstein’s outspokenness on his religious attitude was rare. Today religion (and science) are attacked both by post-modern philosophers, “social scientists” claiming all truths are relative and by creationists claiming everything was created just by chance. Under these circumstances, there are good reasons why most scientists avoid all possibility of confusion with religion by never using terms suggestive of divinity. But the loss is that there is no way to understand: we are actually answering questions today whose had been asked by priests and philosophers before. What human action could be more sacred than that? As we will there is a language of the sacred dimension of time and my essays (touching all major cultures) will follow a certain structure. The article gives the upcoming structure as interplay of science, anthropology and religion. Many thinkers nowadays see theistic arguments as just a quick, lazy, irrational short-cut, though of course this is not necessarily the case; there are many smart, thoughtful, careful thinkers who believe in God – not necessarily in religious institutions. What shape has our universe and where are its borders? Why is it so exactly fine tuned, like defined by an meta-order? When and how was time and the world was created? When and how will be destroyed or is it fluctuating? What was before creation of time? Cosmology became an empirical and exact science, and it has to be noted that some of its answers proof Church fathers as Augustine right. Face of God. This is the furthest thing we can see. Three scientists in 1948 suggested in the famous alpha-beta-gamma report (according to their initials) that billion years ago, the cosmic background radiation of the big bang spreading itself thin must have become low-energy microwaves far colder than ice, later identified at 2.73 degrees above absolute zero as smooth cosmic background radiation. Our universe, however is awfully lumpy, broken up into people, planets, stars, galaxies, clusters of galaxies, and giant walls of superclusters surrounding giant voids. People had been probing the cosmic background radiation for 30 years, but no one had detected any deviation from absolute smoothness until 1992 variations in temperature measured in millionths of a degree were detected. These minuscule differences show the ripples in spacetime, where matter first began to clump gravitationally about 10,000 years after the Big Bang. Radiation from regions of higher density expended more energy trying to escape a deeper gravitational well and therefore appeared slightly cooler than average were chartered in oval shaped eggs in shades of pink and blue decorate Smoot’s office, depicting the pattern of temperature fluctuations across the heavens. As bright and gay as enormous Easter eggs. 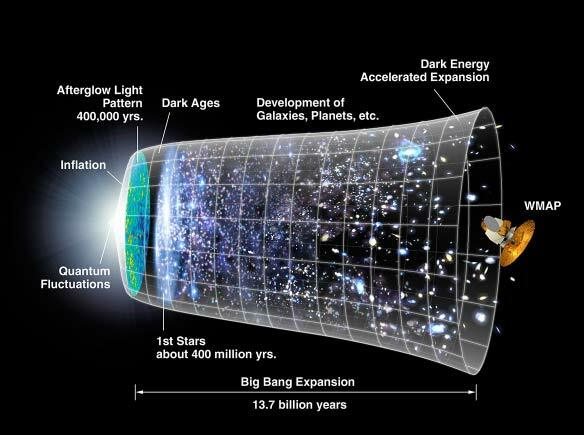 We now can see back up to 380 000 years before the big bang which occurred 13.7 Billion years ago. We enter know metaphysics area. The universe was created from blue print of fine tuned informational pattern (logos the word) and well understood particle physics. We conclude today the universe(space) and time has been created 10-43 seconds after time 0 in a flash of light out of singularity but not ex-nihilo, like written in the Genesis. But where has been god – inside or outside of the universe? An what was he and what was before time? Physics talks about the KMS-state in the whole universe and contemplates time was defined mathematically complex, oscillating between its real and imaginary component. Remember a complex number is a number that can be expressed in the form a + bi, where a and b are real numbers and i is the imaginary unit, which satisfies the equation i2 = −1. Es werde Licht thus transforms logos i.e. information (imaginary energy) to real energy and imaginary time to real time – from divine patterns. Theist as Richard Swinburne and Philip L. Quinn that the specific content of the scientifically most fundamental laws of nature, including the constants they contain, requires supra-scientific explanation or a reconciliation between science and religion. The old-fashioned point of view tend to disbelieve in any religious component to the workings of the universe. Materialism asserts that a complete description of nature consists of an understanding of the structures of which it is comprised together with the patterns which those structures follow, while theism insists on the need for a conscious God who somehow rises above those patterns. Materialist have put their hope to mechanical, evolutionary an biological models stayed shy of the big bang. Within this cosmology, there are two possible roads to reconciliation between science and religion. One is to claim that science and religion are not incompatible because they speak to completely distinct sets of questions, and hence never come into conflict. The other is to assert that thinking scientifically does not lead to rejection of theism, but in fact that religious questions can answered in a similar way than cosmology does. The reader might worry that we are glossing over very subtle and important issues in the philosophy of science; they would be correct, but needn’t worry. Philosophy of science becomes difficult when we attempt to describe the relationship of the formalism to the world (the interpretation), as well as how we invent and choose between theories. But the idea that we are trying, in principle, to model the world as a formal system is fairly uncontroversial. The materialist thesis (before the big bang) was simply: that’s all there is to the world. With Freud it was you eat, copulate and died. Defining theism is more difficult and its subtlety has therefore been transferred to the task of defining ”God.” When I say that God I also have in mind the pantheistic god. In my view, neither cosmology nor theism is logically impossible, but a pure materialism alien to “home religious” as defined by C. G.Jung. This is most evident if we look at the history of time. Two opposite concepts of time need to be introduced – the understanding of linear time (time has a beginning and and end – predominately in Western civilizations) contrary to revolving and cyclist time (predominately in Eastern civilizations). With linear calendars the question arises when time starts. Cultures differ have different ways of putting value at, organizing and using time. Time was either seen infinite beyond creation or a property of our world – i.e. created together with the world. Ancient myth, religions, humanistic philosophers like Kant and now contemporary science in particular cosmology, a fast growing discipline of astrophysics, converge at the latter thesis – at the language of sacred dimension of time. How did the universe begin (Creation myth)? Creation myths define how the Earth itself was created, along with the universe, heavens, hell, people, and creatures that exist today. Genesis of Christian mythology, for instance, tells the story of how the single deity God spoke and formed everything. The Genesis and the Book of the Dead of Egypt share the similar ideas of life and afterlife. Others, like the Japanese and Iroquois creation myths, claim the Earth was once covered entirely of water before land was formed. Through studies such as comparative mythology, researchers and philosophers have discovered hundreds of parallels between the myths that make up every culture, including their creation myths. As most are deeply rooted in religion, comparisons based on geographic area, themes, and similar story lines emerge as religions are born and merge. C.G. Jung recognized these similarities and states, It is possible to correlate creation myths of Zen-Buddhism and Christianity, Hinduism and Islam, Confucianism and Hinduism, and polytheistic Greek and Roman state religions. They compare the messianic religions: Christianity, Islam and Judaism; the enlightenment religions, including Buddhism, Hinduism, Sikhism, and Jainism; and the pantheistic religions, encompassing a large group of with Taoism, Confucianism, and Shinto. In all of them exists the basic idea of chaos before creation, and god(s) to form space and time and as such life. Another common element in some myths is a tree of life that connect connects the different realms of the universe together, often referred to as a axis mundi or cosmic channel. As C.G. Jung noted, Archetypes an Symbols have been an integral element of the lives of all people through either non-spiritual or spiritual means. From what we consider the beginning of humanity to today, myths have been used to educate people why everything happens or how everything came into being. The comparison of myths has emerged as popular archetypes in C.G. Jungs writing. The creation myths, in particular, provide examples of borrowed symbols and common beliefs which persist throughout history. With these parallels, humanity can better understand earlier cultures and document how mythologies interrelate over time. Light and Darkness were first taken as granted like anything in nature. Duration created time and with it the observation of the stunning regularity of sun, moon and stars, which lead to the concept of future and past. Our understanding of time shapes our understanding of god, of creation and of the universe. Of course the opposite also is true. With time the primordial sin came to the world and who gained knowledge of time became priest, emperor and gods. In ancient times, the archetype of the magician or priest, the loving god, the king and the warrior typically were combined in the god-emperor. As we will see also temporal rulers (kings, pharaohs, popes or revolutionaries) always had control over worldly calenders and the priest over sacred (and secret) calendars. With calendars, priest and rulers could not only organize the past, but also plan (and claim to predict) the future. It became possible to calculate the time between two events, to know sacred days or just to “measure in advance”, when the flooding of the Nile or the tax payment is due. That has been diverse and indispensable role from the early agricultural societies, trade industrialization up to the today’s complex global world. What is after human life ends? Human limited time, i.e. the painful knowledge of mortality led to the question of what might be after life, which was answered by religions with supernaturals (gods and spirits) as masters of time and for mortals paradise, hell, rebirth or nirvana or ancestor spirits. Christian belief tells us,that we lost immortality by eating the fruit of knowledge and that redemption of Jesus promises resurrection and living forever again. Sometimes during the last 2.5 million years, mankind became conscious of the I (Ego in an Jungian Sense). With this followed the consciousnesses of time, of “now and then”, of synchronicity and duration. This was the begin of subjective (individual) time and of course with the human memory came the past and flow of time. The language transcended the limitation of the direct experience and opened the path to the future like a linear “time arrow”. With language came regularity, structure and abstraction. From “here and now” mankind went to the collective past (history) to individual and future (civilization). The modern time conception of Westerners is strong and they really cherish (their life-) time and ironically waste it with cheap distractions. In contemporary Europe, where more and more people have no children at all and to a high degree lost connection to any religion, time becomes predominantly subjective and abstract beyond their little life span. In a way Westerners became Rousseau’s innocent savages in there little consumer paradise (or hell). So our concept of time also has to do what we think of our after-life. Today we miss the wisdom of the spirituality. In Christianity there is chronos and kairos. Both are Greek words which mean time, but they imply different things. Chronos refers to minutes and seconds. It refers to time as a measurable resource. Kairos is the word used for time in Ephesians 5:16). kairos means an appointed time, an opportune moment, or a due season (like in Taoism the right moment to act). C.G. Jung had special understanding of time what he called “temporally coincident occurrences of acausal events” or “meaningful coincidence” and “acausal parallelism in which archetypes and the collective unconscious are governing a dynamic that underlies the whole of human experience and history — social, emotional, psychological, and spiritual. Oh yes, there was a fall, a great big one. The ancients, our forefathers and mothers, knew right away that something horrible had happened. This was the big bang, the creation of time, and the second mankind understanding of is. Thus Adam and Eve myth became like God. Nietzsche, who understood all this, said Christianity closed the door to mass nihilism and decay. To be healed by the words Good and Evil. Christ was the greatest poet who ever lived. He was murdered because he understood all this. Christ understood this and said so; the kingdom is here within us. This is the meaning of religion as o fpsychology is man’s attempt to free himself from linear time. Even hunters and gathers (at least in a harsh climate) needed to be aware of time. The resulting calendars have been an integral part of different cultures. But even more farmers and traders. Warrior societies need less accurate time than farmers. The first Roman calendar became a mess before fixed by Julius Caesar (with a little help of the Egypt solar calendar). The great French philosopher Voltaire once quipped in hindsight: “The Romans emperors won all the battles but they did not know when”. Since the beginning of mankind time comes from observation of nature. In any culture, however, the task of the calendar was not only limited to the counting of days. Each date should be assigned to the repeating pattern in nature. Without the ability to plan the time by days, weeks, months and years, agriculture, civil administration and a differentiated role based economies would have been impossible . Even today there are still new applications – especially with the financial and interest experts with perverse micro-trading. The Athenian law courts – according to Plato’s Apology – had water-clocks: if you couldn’t prove your case before the water-clock stopped dripping, you couldn’t prove your case. History, of course, has time-hooks. It can be said, however that the world of mathematics exists in an eternal present, a state in which neither the past nor the future have any meaning. Thus, because mathematics has no interest in the time dimension, there is also in mathematics no meaning to the question of reason. The area which mathematics does address is the clarification of relationships between various objects: how they connect with each other. This world, although dealing with relationships between stable and changing things, is entirely fundamental with the major dimensions of time – duration (present) and regularity of reoccurring events (past and future). Ever since man first noticed the regularity in the movement of the Sun and the stars, astronomers have wondered about duration and measured time by the Sun, the Moon and the Stars. As the sun moves across the sky, shadows change in direction and length. Calendar algorithms used natures repeating events the sun, month, moon phases and other astronomical information.They were commonplace, long before watches. Calendar algorithms also allowed the inclusion of sacred (or cursed days) and the number of days, although the week had nothing to do with the movement of the stars. The earliest natural events to be recognized were in the heavens, but during the course of the year there were many other events that indicated significant changes in the environment. Seasonal winds and rains, the flooding of rivers, the flowering of trees and plants, and the breeding cycles or migration of animals and birds, all led to natural divisions of the year, and further observation and local customs led to the recognition of the seasons. What “cosmological results” suggest to some “divine inference”? Simply put: the anthropic principle, or more precisely, the fine tuning of the physical laws. In a nutshell – the fact that many/most of the fundamental properties of the universe, from the charge of the electron to the speed of light, and the total content and rate of expansion of the universe have values that could not have been even slightly different if life, intelligence, and consciousness, like humans and other such creatures, were to exist. Needless to say, many have concluded that something must behind such “fine tuning” like “cosmic code” or divine DNA. I want to come back to the creation myths. 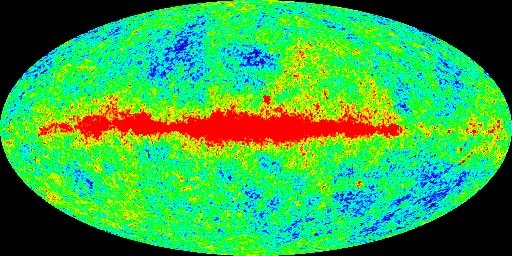 In 1992 when astronomer George Smoot, the father of the COBE (Cosmic Background Explorer) satellite announced the discovery of patterns in the heat background radiation still arriving from the Big Bang, he said it was “like seeing the face of God.” He took a lot of secular sneering for this remark from colleagues. The quantum theory was spiritually unacceptable to Einstein as its ultimate nature of reality was randomness. 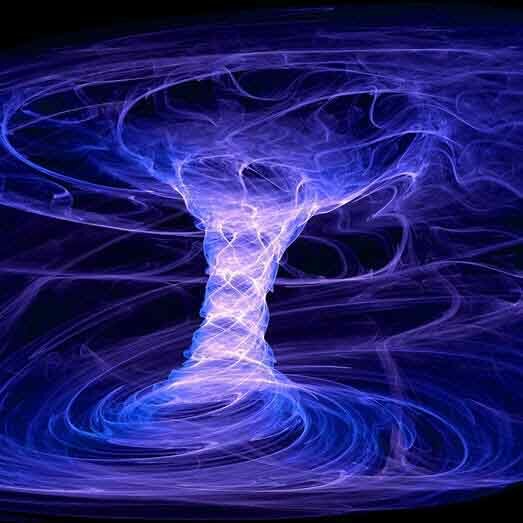 “The [quantum] theory yields much,” he wrote to quantum physicist Max Born in 1926, “but it hardly brings us close to the secrets of the Ancient One. In any case, I am convinced that God does not play dice.” And he was right, today we now that the creation of our universe follows regular pattern and some physical constants must have a certain value – or we would not exists. Independent formulated theories by Alan Guth (MIT) and before by Russian physicist Andrei Linde, holds that the universe began in the expanding fireball of the big bang and then inflated.Quantum fluctuations-hot, spots-arose.The discovery of the microwave whisper, by Arno Penzias and Robert Wilson of AT&T’s Bell Labs in 1964, just about proved that the universe began in a big bang. Hawkins today agrees with church father Augustine the time and space, the world was created together with time in a flash of light. Trouble was, the microwave sea seemed 1964 incredibly smooth. If energy and matter are spread across the heavens so evenly, how could particles ever have clumped together into galaxies? COBE saw almost undetectable temperature fluctuations. 1992 astrophysicist George Smoot of the Lawrence Berkeley Laboratory announced that they had discovered those primordial wrinkles, floating at the very beginning of time. Wispy tendrils, up to 59 billion trillion miles across, are the most gigantic and the most ancient structures ever seen. There is the story of the Rabbi who dutifully and concerned asked Einstein in which kind of God, then, did Einstein believe in? “I believe in Spinoza’s God who reveals himself in the harmony of all that exists, but not in a God who concerns himself with the fate and actions of human beings.” The was Einstein’s faith, which at least not entirely anti-spiritual. A somewhat more modest astrophysicist, whose theory had correctly predicted the discovery of the “divine structures”, Joel Primack was quoted as calling those ripples 380 000 years after the Big Bang, “the handwriting of God.” Are these references to the creator sacrilegious or legitimate interpretations? Either way, they are part of a search that began with the first high cultures in Mesopotamia — the search for language to communicate the sacred dimension of time. This will be covered in a series of essays covering all major civilizations and will follow the same structure. Aft all what I understood, we can interpret space and time as a sort of secret encoded message that science has begun to encipher long after spiritual systems and human intuition (be it by definition of Immanuel Kant or C.G. Jung had the ability to acquire this knowledge without inference of reason or experiment. C.G. Jung’s introverted intuitive types were likely mystics, prophets, or seers struggling between protecting their visions and making their ideas comprehensible but reasonably persuasive—a necessity for their visions (or religions) to foster. “Universalgeschichte der Zeit” Hans Lenz, 2005 Marix Verlag. The book is just that good, what can I say. From the scientific point of view, it stays loyal to the physics and everything as we now understand it, within its usual debates. The rest is just philosophical and metaphysical discussion and interpretation on meaning and direction in the Universe and Everything. They take a step, after reaching the limits of what science can explain, and try to fit it all in a spiritual vision of creation. Faith is a very popular topic of discussion in many cultures including the French, and this book expresses itself and its opinion very elegantly, while on the subject of scientific creation itself I might add, and delivering it all in a language any man can understand. They authors claim (correctly, just very much like C.G. 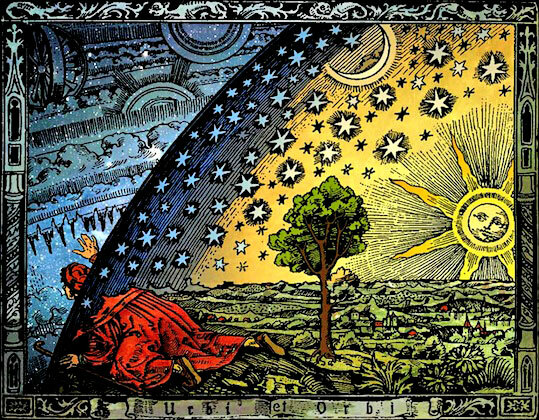 Jung) that at the limits of where science can study, observe and verify, metaphysics can take over, continue the story, and they do it masterfully. What they interpret as divine inference any scientist can take as just another law/equation yet to be explain. The book has been given unprecedented exposure in the French media, especially considering its overt spiritual tone. Indeed, the Bogdanov twins state clearly that they believe that the Creator conclusion is inescapable from the results of modern Cosmology. They themselves are not particularly religious, in the sense that they do not relate to any specific affiliation, but clearly are convinced of on the divine inference. What “cosmological results” are they basing themselves on to make that “divine inference”? Simply put: the anthropic principle, or more precisely, the fine tuning of the physical laws. In a nutshell – the fact that many/most of the fundamental properties of the universe, from the charge of the electron to the speed of light, and the total content and rate of expansion of the universe have values that could not have been even slightly different if life, intelligence, and consciousness, like humans and other such creatures, were to exist. Needless to say, many have concluded that something must behind such “fine tuning” like “cosmic code” or divine DNA. Three famous scientists have endorsed the book by writing a preface and two post-faces: Robert Wilson, who (with Arno Penzias) discovered the microwave cosmological background in the 60’s and received the Nobel Prize in 1978; John Mather, who (with George Smoot) in 2006 received the Nobel Prize for the variations they found in the microwave cosmological background, which Smoot likened to “seeing the face of God”; Jim Peebles, a renowned cosmologist who has received half a dozen medals, awards, and honors (though not the Nobel Prize). Interesting enough, this book has infuriated atheist and anti-christian hate reviews. Usually a good sign , the so called “intelligentsia”, especially in Europe, do not like the divine inference. The answer to why is far from trivial, but it has to do with sociology-historical reasons as much as political reasons or just spiritual deafness. Tags: Archetype of Time, Astrology, Astronomy, Face od God, History of time, Psychology, Religion. Bookmark the permalink. Previous post ← Lent and a letter to my Old Enemy.